This classic chain will be a friend forever! It measures 80cm in length and so can be worn long or doubled up to offer a shorter option if desired. It looks fab worn on its own or laden with charms that have been collected over the years. 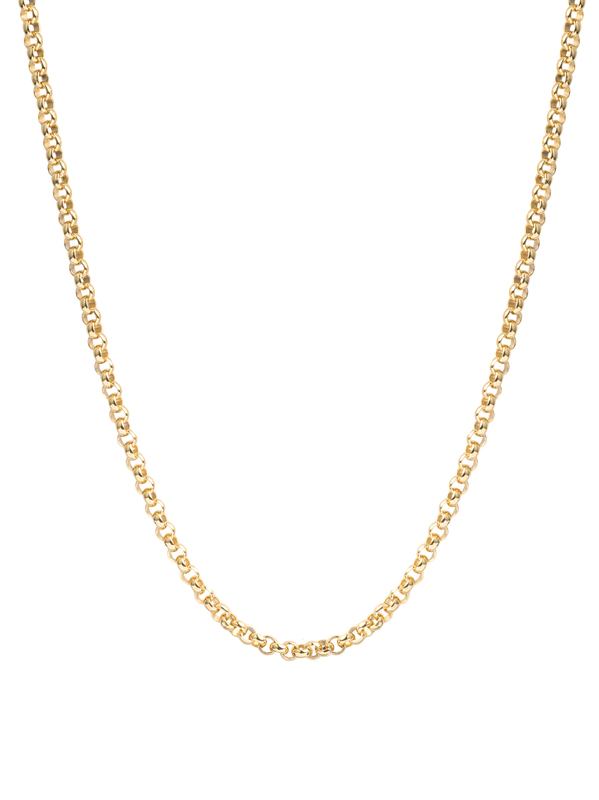 The chain, which is 0.4cm in width, is made in Italy using solid sterling silver which has been given a 23.5 karat gold coating. This coating is really resilient and will withstand showering and swimming.